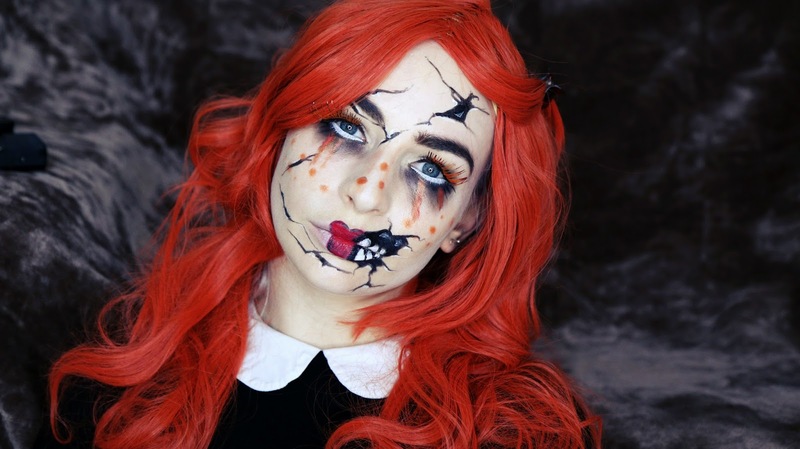 Cracked Doll Halloween Makeup Tutorial! The countdown has officially started and we now have 11 days to go until All Hallows Eve! 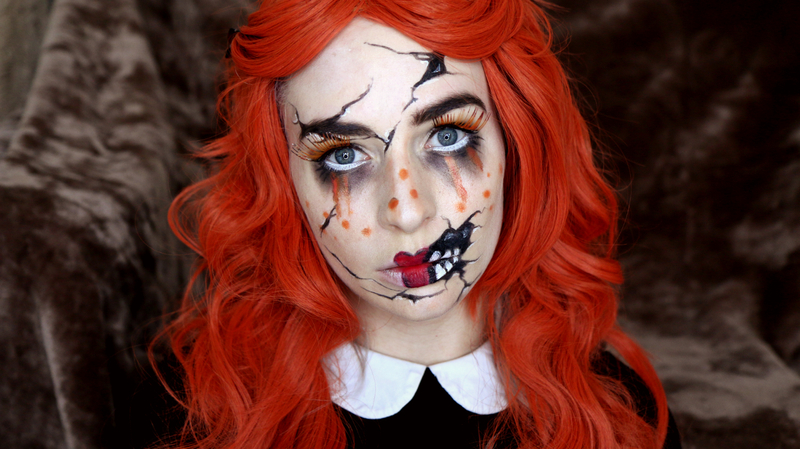 Halloween is one of my favourite times of the year because I just LOVE all things spooky & of course, dressing up! 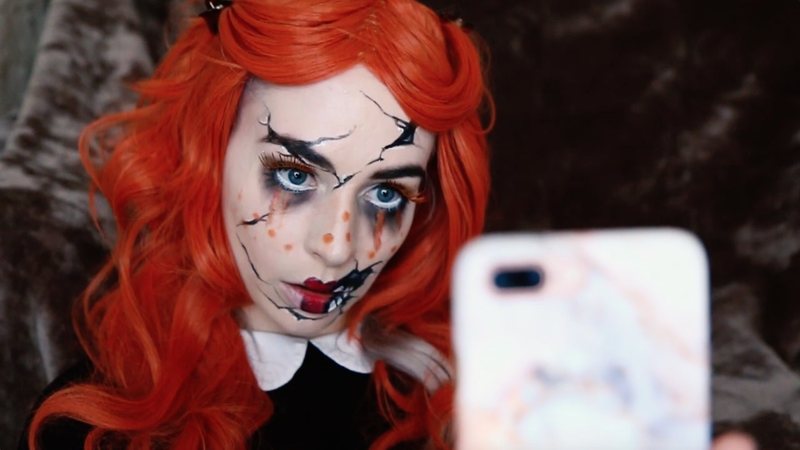 I wanted to share with you one of my favourite Halloween makeup looks for 2017, the spooky china doll, which is inspired by one of Fanta’s new special Halloween snapchat filters this year! 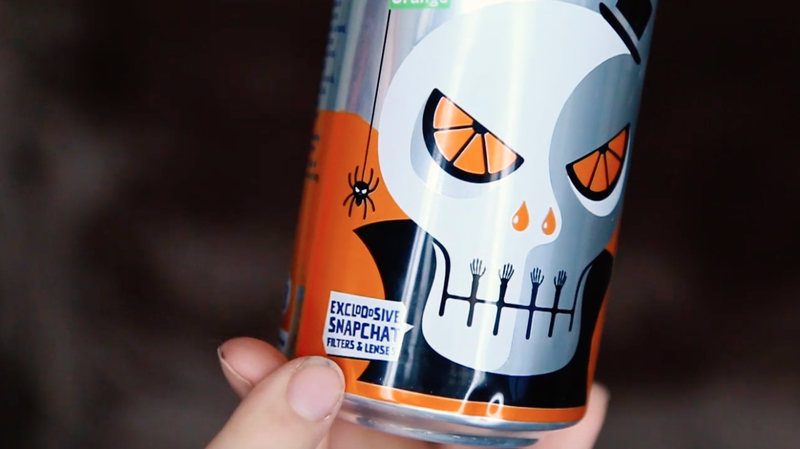 Fanta, one of my favourite refreshing drinks, have come up with a really fun range of spooky snapchat filters and you yourself can use them too! 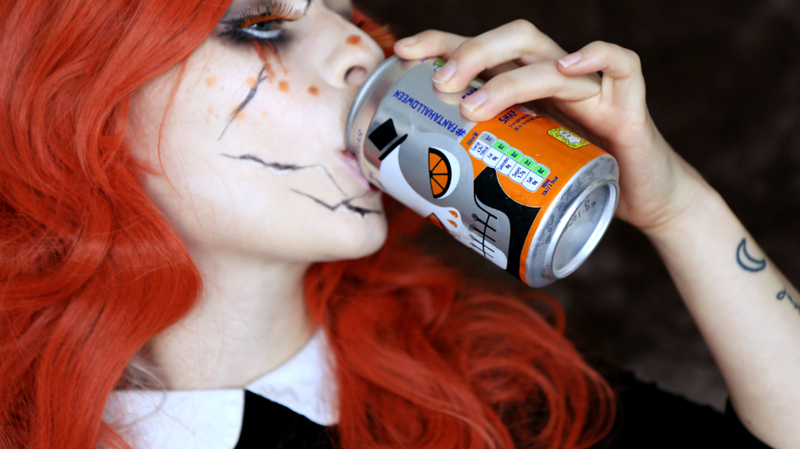 Simply pick up one of the special edition Halloween Fanta cans and scan the QR code on the back whilst in your snapchat app. This will then unlock your secret, scary filters for you to use. There are 8 different filters and layers to unlock in the run up to Halloween so be sure to grab a can and try them out yourself (and tweet me your pictures, I want to see)! 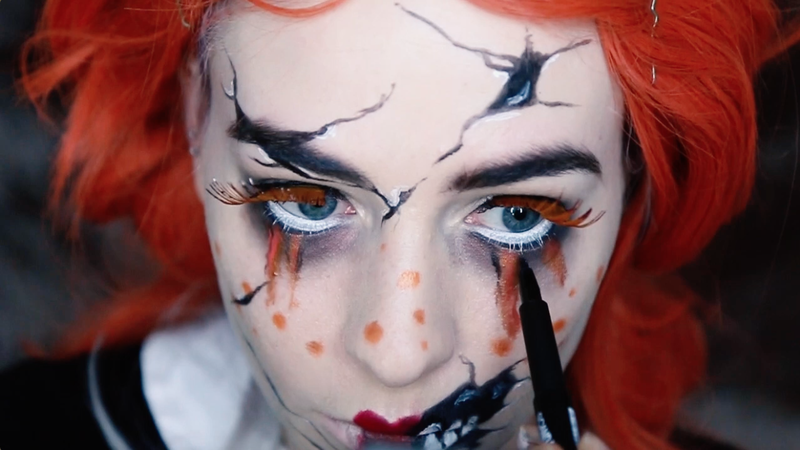 The tutorial itself was really easy to create but very striking, it definitely makes an impact (in fact, just after filming this I had to open the door to the postman. It scared him so much that he came back 5 minutes later with his phone to take a selfie with me, haha!!). 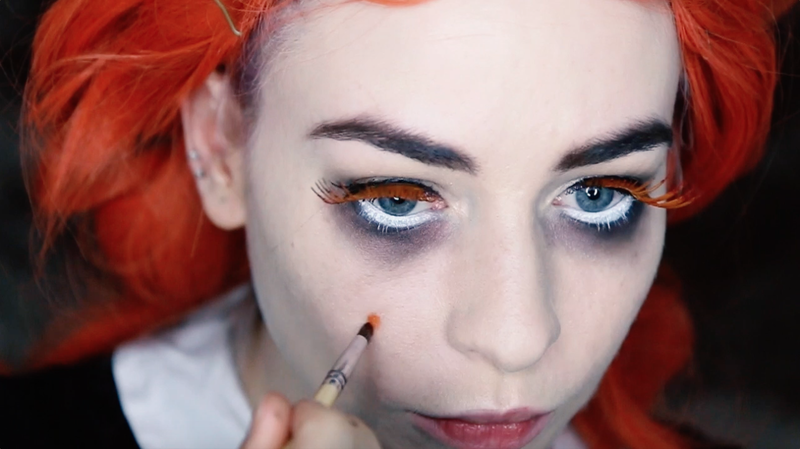 All you’ll need is a neutral eye shadow palette, a black and white eyeliner, some orange false lashes, orange face paint, red lippie and you’re set to go! I’ve popped the full tutorial above, do give it a watch and let me know what you think! Be sure to also grab yourself a special Fanta can and have a play with the filters – let me know which is your favourite! 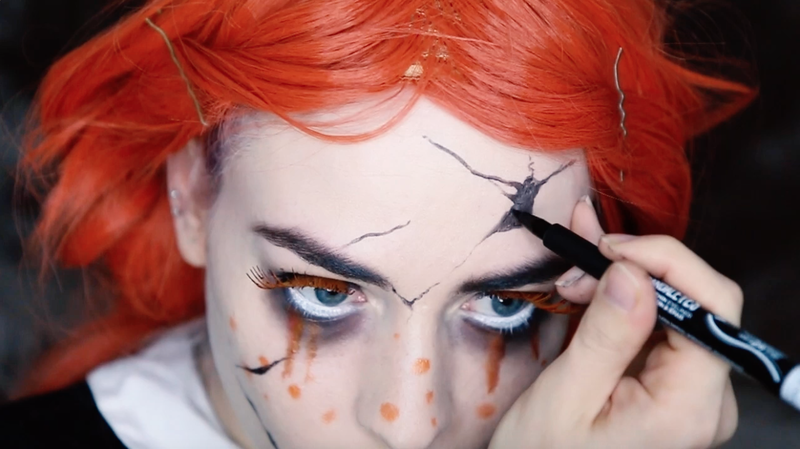 What makeup will you be doing this Halloween? *contains paid for content but all thoughts are honest! 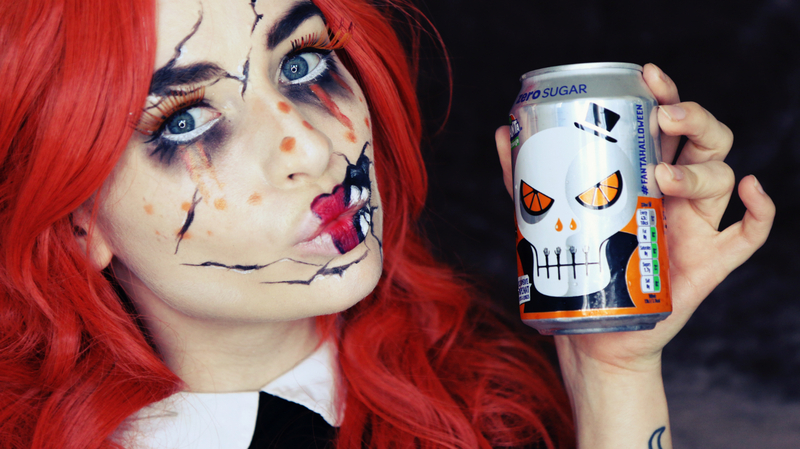 Next Post Glam Skull Halloween Makeup Tutorial! You are always awesome and your YouTube video is also a good quality video. Your Halloween makeups looks real scary.You use good Halloween Cosmetics for your Halloween makeup.